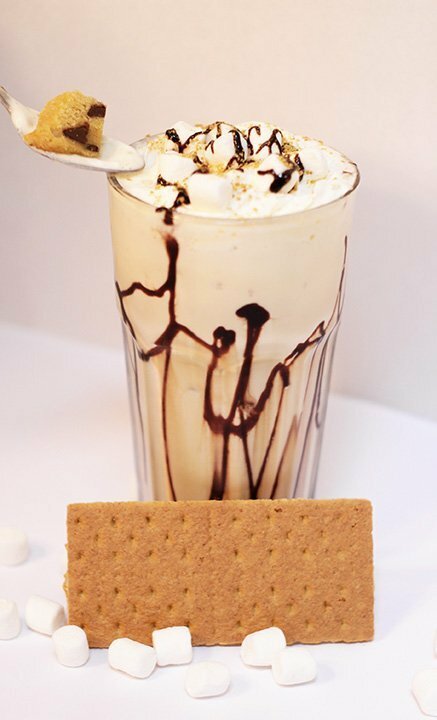 An incredible combination of a thick creamy milkshake and our deliciously soft cookies, the “Bake Shake” features a chopped up cookie, spun into an extra thick milkshake. It is then poured into a glass drizzled with a corresponding sauce, topped with whipped cream, and sprinkled with more toppings. Eat it with a straw, or eat it with a spoon, it’s just like dipping a cookie in a nice big glass of milk! Pick your ice cream, pick your cookie, pick your toppings! Or choose from our menu of indulgent creations.